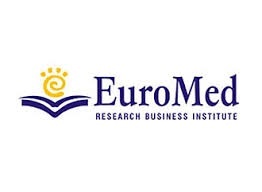 The EuroMed Academy of Business annual conference is one of the major Business Management conferences of its kind in terms of size, quality of content, and standing reputation of attendees. Many of the papers presented contribute significantly to the business knowledge base. Our goal is to create a friendly and approachable academy and environment, a strong network, whereby its members (including senior worldwide scholars, young faculty members, doctorate students, researchers and business practitioners) are guiding and mentoring each other. B. ISBN Conference Book of Proceedings with an ISSN for the book series which is approved for inclusion in the Conference Proceedings Citation Index of Clarivate Analytics (formerly Thomson Reuters).